Doctoral Studies: Year 1 – Complete! What I read that changed my leadership – Lead. Learn. Grow. After thinking about the amount money and time spent in graduate school, sometimes I think I’m a glutton for punishment! However, I reflect on the conversations that I’ve had, the great educational minds I’ve met, and the ideas we’ve uncovered. It almost makes me forget about the pretty penny I spend for grad school (key word is almost). However, If I am being truthful, I love learning and will continue to find new ways to educate myself (albeit less expensive ways) after this doctorate is complete. This year has been a rollercoaster of highs and lows, but with good reading and good fellowship with my cohort of spectacular Ed. Leadership Scholars at UNCG! We’ve read a ton of books and articles, but the ones below stand out in my memory and have changed my practice. I encourage you to check them out! Happy Reading! 1. 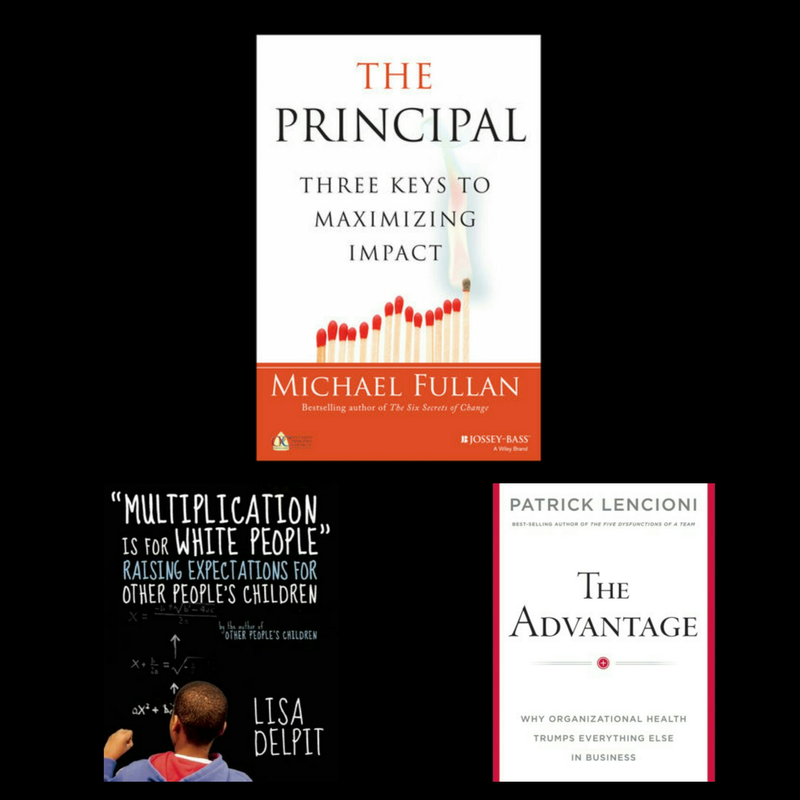 The Principal by Michael Fullan – An excellent read about the principalship and leadership in the 21st century. One of my greatest takeaways was that individuals (the principal) do not change cultures very easily but using the power of the group to change the group is a great source for accelerating shifts within schools. How do you distribute leadership? 2. “Multiplication is for White People” Raising Expectation for Other People’s Children by Lisa Delpit – Don’t be mislead by the title of this book. It is an excellent resource for examining how we educate students of color and begin to do so in a more responsive way. A great title for book studies associated with closing the achievement gap and educating all students. 3. The Advantage by Patrick M. Lencioni – This book has changed the way I think about working, creating, and interacting with a team. If you are shaping your administrative team or any team that you want to be functional, get your hands on a copy of this book. Another great read. It stresses the importance of organization health beginning with teams in leadership.